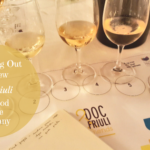 Today, when Vinitaly 2016 is kicking off, as I write this short blog article, talking about wine communication and marketing of the wine industry in Italy is a “hot” topic. People from all over the world come to Verona to taste Italian wine and meet with Italian wine producers to learn about the latest trends. Communication is thus not only done in Italian but also in other languages, mainly English. Last year, international wine writers and marketers requested a more professional approach to marketing from the Italian wine industry as well as providing content in English or other languages. Communication is important to be able to market yourself. Providing good content is even more essential. I have pinpointed three ideas to why wine communication matters below. Wine in Italy is a part of the cultural and historical tradition, it is not only the selling of a beverage but rather of a cultural heritage, a way of living. Furthermore, wine is always considered in relation to the gastronomical tradition. This is what still makes Italy so fascinating, according to me. I believe there is an important “story” to tell here, especially for the smaller and more “artisan” wine producers in Italy. Writing about wine and wine producers is a fantastic opportunity to humanize the Italian wine industry and the wine producers. 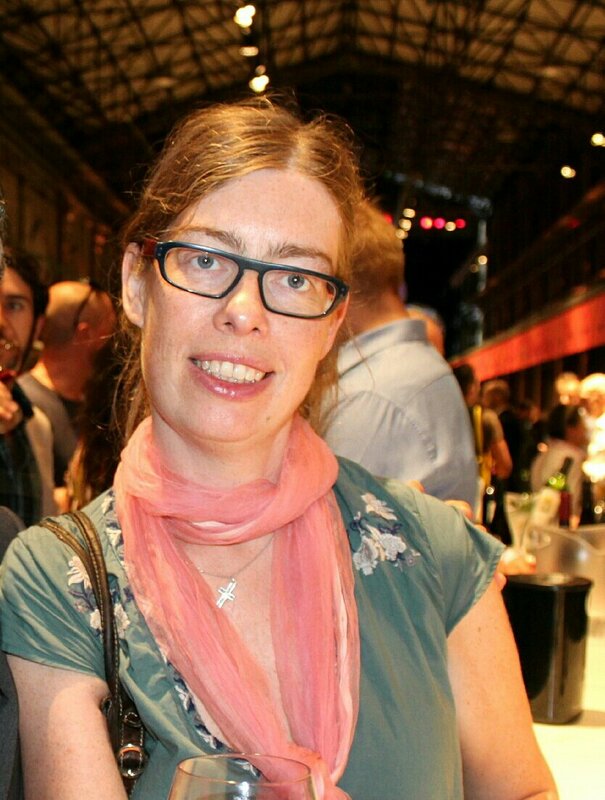 In my own wine writing, I am always trying to focus on the story behind the winery, on the owner and the people working at the winery, and telling the story as a sort of adventure or exploration of an area or a region. When there in Italy recently was a petition in the Italian Senate to make Wine History an obligatory subject in elementary school, it becomes clear, as mentioned before, how wine is a part of the cultural heritage. Wine producers could play an important part in helping to teach and educate about the wine making process, all from the vineyard to the bottled wine. Educative storytelling I believe is quite powerful. The wine knowledge in Italy is huge among producers and wine writers and people outside of Italy are often thirsty for knowledge about grape varieties, wine areas, smaller producers, and other facts about Italian wine. Storytelling about wine is fun, and many might still think that it is just that. That is, that it does not provide any value or give any result other than having a bit of fun. However, it can be a way of connecting with a broader audience and building a powerful wine community. 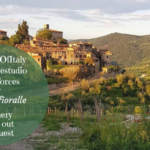 In Italy, I think this could be of value for many smaller wine producers as a way of getting visibility and making connections even if they cannot afford larger PR agencies to do the marketing for them. Marketing, according to me, is also more than just writing a formal press release. In Italy, I believe there is an opportunity to unite “old” and “new”, i.e. to not forsake well-written content as in press releases but rather to combine it with newer communication channels and more informal language in smaller “snack-size” format. Language and format are key issues here, and to realize that if you cannot write good Italian, English, German or any other language yourself, to not be afraid to ask for help from a professional. All this can make engagement and community building easier to manage. Wine is culture, education, and community building. Storytelling is a great way to convey these messages to the reader. Language is essential to translate the story to a broader audience. Katarina, wine is all those things. Well said. I look forward to more of your wine adventures. I love to learn about winemaking – there is so much tradition attached and so many influences to the end product. 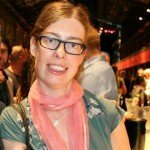 My husband and I regularly visit a wine-growing region near our home in NSW, Australia, and have come to learn many fascinating facts about winemaking and the winemakers. Thanks for your comment Tamuria, yes there is indeed a lot of tradition behind wine making. And it is a very fascinating world where you learn new things every time. Wine is definitely all of that and more. 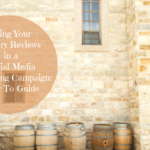 You so eloquently share three areas of communication around wine that spark interest and provide great information. I really get this sense of culture, community and history (education) in all your posts, Katarina. I agree that this makes it key to share the wine story with others. Although I don’t drink, I find it fascinating to read about the variety of vintners and their passion for the land and their grapes/wines. 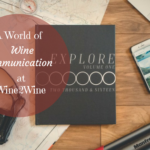 With so many different varieties to choose from, communication becomes key to spread the information to reach new people who will try new wines. Thanks for always sharing your passion for wines with us all! As a non-wine drinker, I Love reading your posts about wine. I always learn history & get the culture and community. You do an outstanding job writing and introducing us to the wines of Italy. I always feel I just returned from a trip abroard. Lovely look at the deeper societal implications of wine. You have certainly educated me about wine, and to the glorious communities wine has created all over the world. What a great post Kata.. you totally mixed it up in this one and for non-wine drinkers… wow… what a great way to understand a way of living that we don’t understand or know. Katarina – I just love your posts! Even though I simply cannot drink wine the great majority of the time (I’m on call at a local hospital over 200 nights/year) – I get the wonderful feeling of comfort food from your posts when you teach us about wine. Even though I’m not able to indulge, you sure make me want to! I have family in Italy and the winemaking our family would make was a family secret so sharing information may be difficult. But I personally think that speaking the language of the customer not only gives the customer respect but also makes them feel special which may make them become longstanding customers. I agree. Giving even just a little will help create a relationship. I am no longer a wine drinker. It dries me out and I never feel great the next morning, even with one glass of wine. I really love reading your in-depth knowledge of wine. I never realized there was such a thing as wine communication. Thanks for the education. I agree that if all of these elements were with the wine we purchase not just in magazines, it would be more fun. Even for us Americans. I like the ideal of wine culture, education and community being open to both serious students and enthusiasts everywhere. Very interesting! I had never thought before about the culture of wine! I love the idea of teaching this to the kids – culture and history is so important. You always make wine so fascinating, Katarina. Thank you! I can’t wait to travel to Italy! I really enjoy white wine especially with a good meal. I think the history regarding wine would be fascinating to learn. The next time I’m sipping wine with my friends, I’ll be sure to remind them that what we’re enjoying is much bigger than ourselves. It’s great to be connected to history and culture in that way! Thanks Jason, even though a comment more than a year late. Apologize for that I had not noticed and replied before. Anyway, I am happy you liked my article.